The Klutz Encyclopedia of Immaturity has been such a hit that we're following up with a second book. 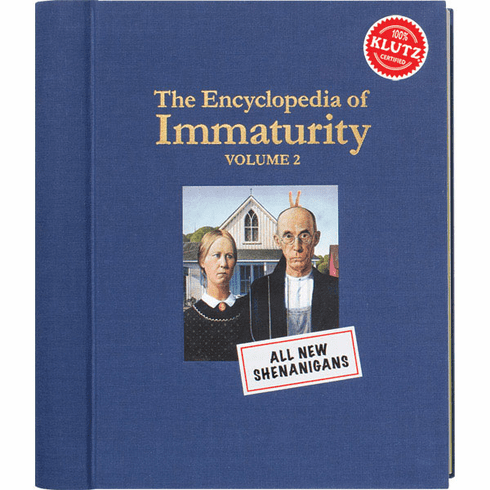 The Klutz Encyclopedia of Immaturity Volume 2 includes thought-provoking topics such as how to slide down a banister, what we talk about when we talk about wedgies, how to send a toiletgram, and more. ItÕs all new and all hopelessly goofy. The Klutz Encyclopedia of Immaturity Volume 2 is recommended for ages 8 and up.